1. Standalone fingerprint time clock along with Realand Attendance Management System (RAMS Software). 4. Standard authentication: Fingerprint, RFID card(125Khz) and Password. 5. Special for A-C091: 3.2inch LCD screen with F1-F8 function keys, Could be customized RFID card + MIFARE card function(Best price for bulk order – Realand Distributor only). Device Pushes real-time attendance record to the RAMS Software automatically including the office attendance records. Up to 200HMz CPU CLK and 100HMz system operating frequency makes faster recognition speed. 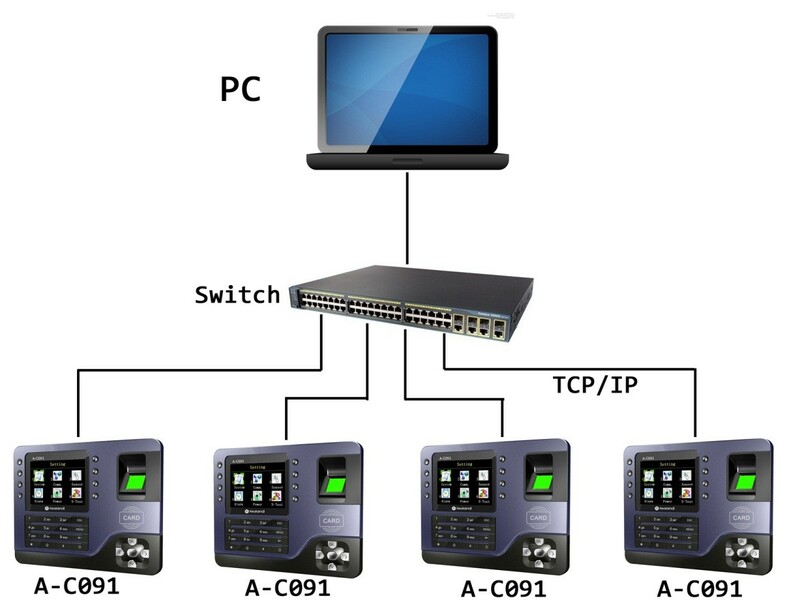 One software can connect to several A-C091, to share user info and get attendance records. Suitable for superstore , mini market , wet market , trading , warehouse and etc.